This year our congregation will be exploring the Jewish value of Welcoming the Stranger. In preparing my teaching around this subject for Rosh Hashanah and the year I would be very interested to hear from you and hope you will join the conversation. What are your experiences of being welcomed or welcoming? When have you felt alone or estranged and what did it mean to feel welcomed? What in your experience has helped you to feel especially committed to or dedicated to others? What is it that most helps you feel that you are a part of something? What are your questions about what it means to Welcome the Stranger? Please feel free to join this public conversation on the Bnai Keshet FaceBook page or to email Rabbi Ellliott. Silvia and Daniel Blaustein invite everyone to celebrate with them following the service in honor of Valentina becoming a Bat Mitzvah. 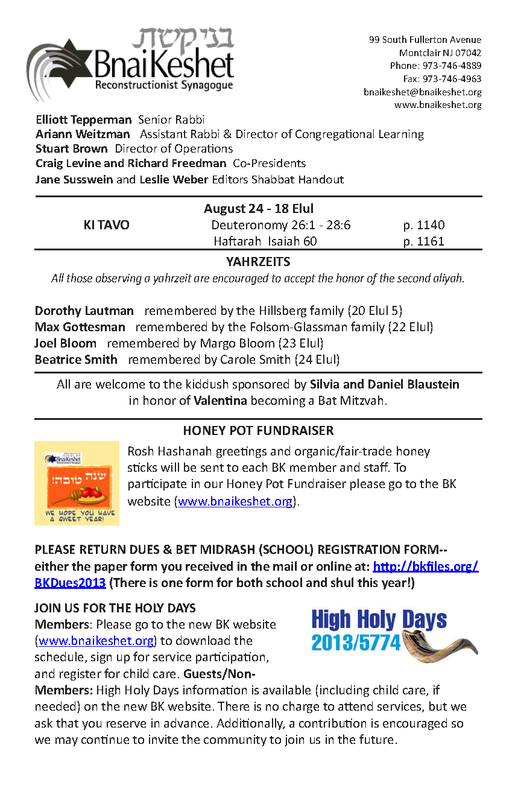 Have you signed up for the Pot-luck lunch on the 2nd day of Rosh Hashanah? 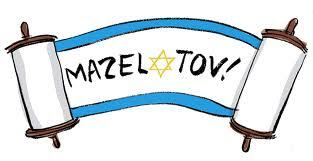 Enjoy lunch with friends and family following Rosh Hashanah services on the 2nd day of the holiday at Bnai Keshet. A big thank you to all those who have submitted their forms!